Even though the leaves contain no caffeine, New Jersey Tea was used as a tea substitute after the Boston Tea Party. 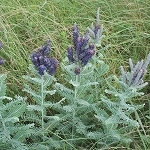 An attractive, small shrub that will improve soil quality by making nitrogen more available. 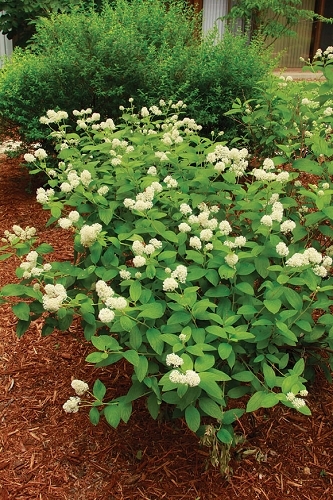 This is one of Missouri's best shrubs for attracting bees. 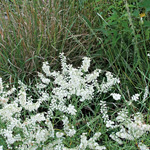 Prairie redroot is a very similar plant and could be substituted in landscape design. 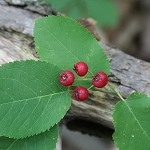 The leaves of New Jersey Tea are usually broader and slightly pointed at the tips, while prairie redroot leaves are more narrow. Prairie redroot blooms a little earlier. If older plants begin to look ragged, trim them back to 4 inches to encourage new growth. Deer and rabbits both find New Jersey Tea appetizing. 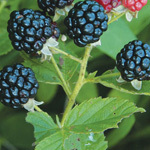 If they are over-abundant in your area, you may have trouble getting these plants established. Q: /why us there no price listed for New Jersey Tea plant in the online catalog? The 2016 printed catalog lists a price. A: We made an error when going through our inventory as we decided which plants to include in the catalog. The website is more accurate as we can change it instantly when species go out of stock or become available. Prairie redroot would be an excellent substitute--to the untrained eye, they are nearly identical.